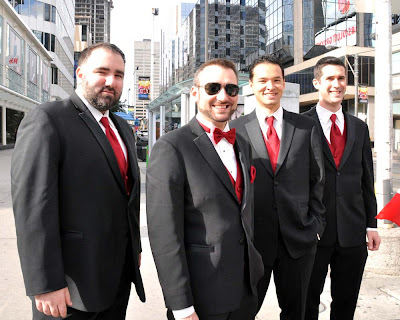 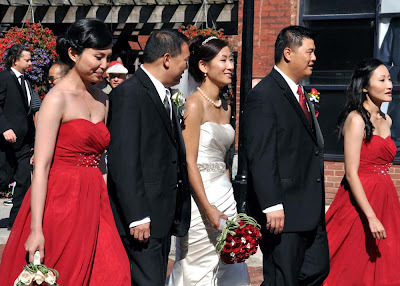 Blushing brides dressed in white and surrounded by lovely bridesmaids in colourful dresses, handsome grooms and their solid ushers in black and white suits can be found gathering around the city for wedding posing for wedding photos. 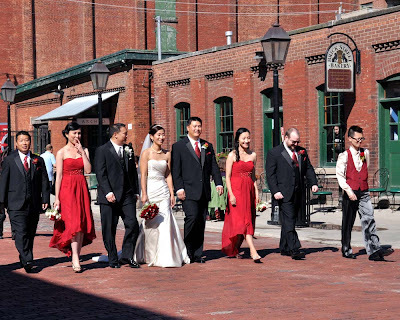 I really enjoy seeing the parties in the midst of the photo session and quickly take pictures as I walk or ride past the groups. The happy couple and the wedding party work with the photographers to capture the magic of the day in unique places that show the beauty of the city and complement the new family and their close family and friends. 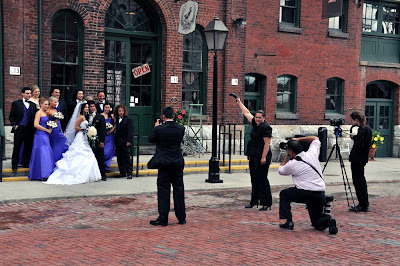 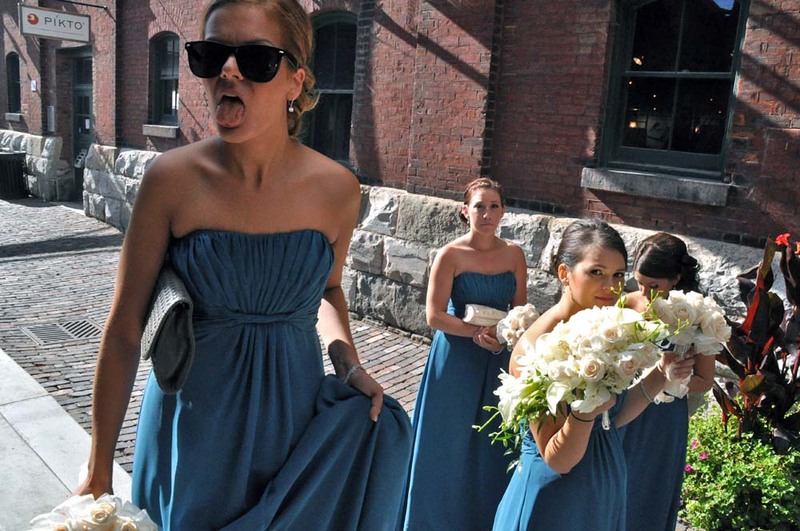 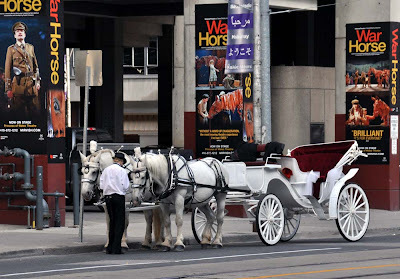 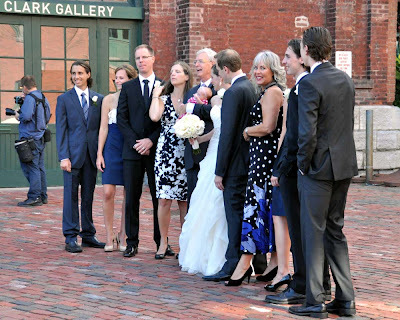 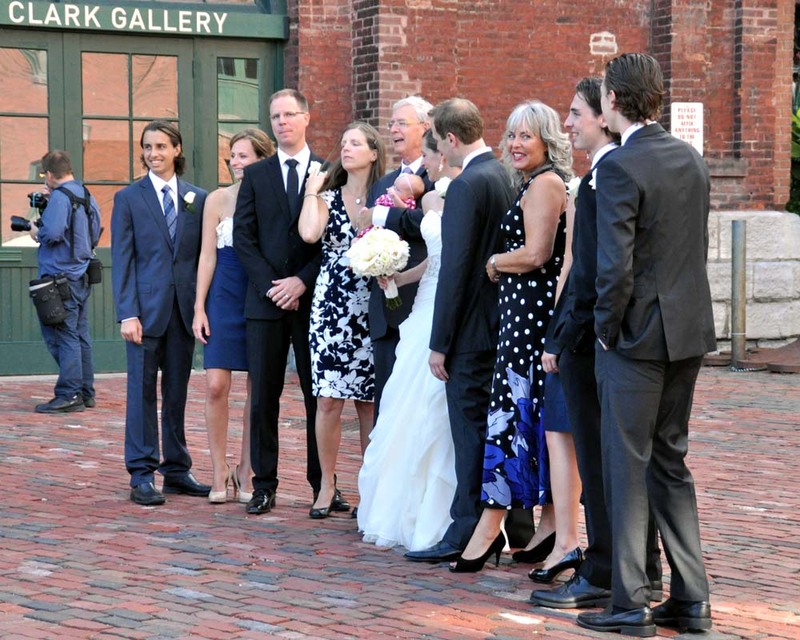 One of the most popular locations for wedding photographs is in the Historic Distillery District (permits required for non-recreational photos). Other special locations include the following. 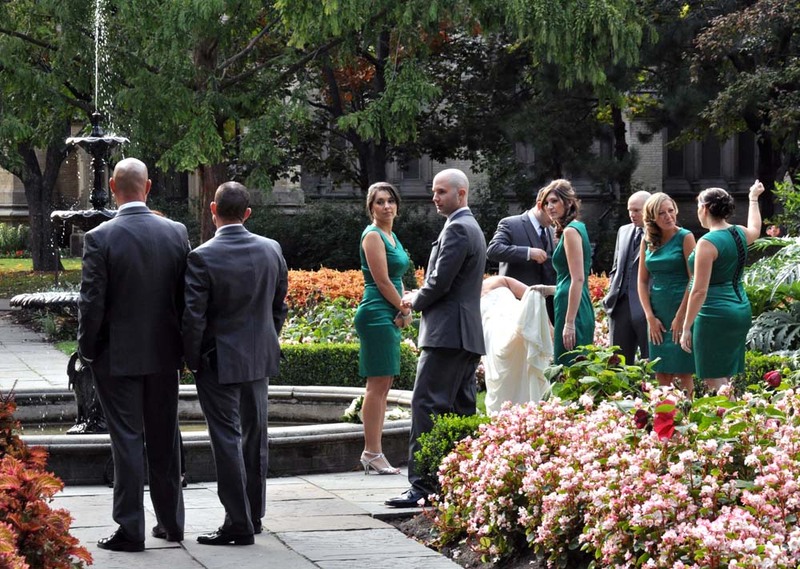 The City of Toronto lists the locations and costs for permits on their Wedding Ceremony and Formal Photography website (location information noted below). 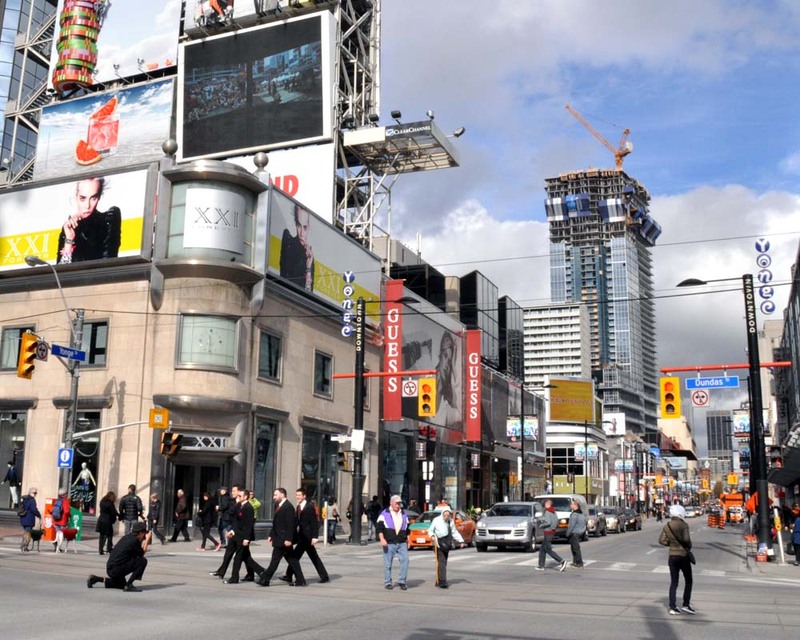 You can apply for a 2013 permit on the first day of November. Rates can change so check with the City Recreation and Parks Department for current costs. 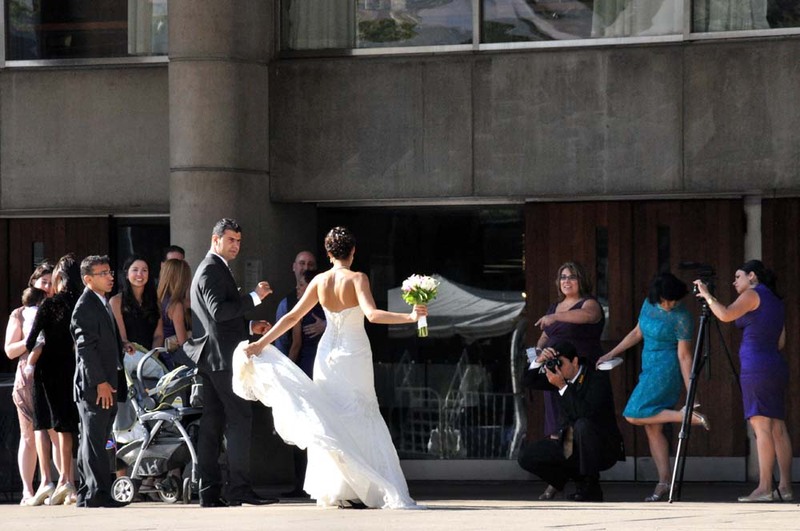 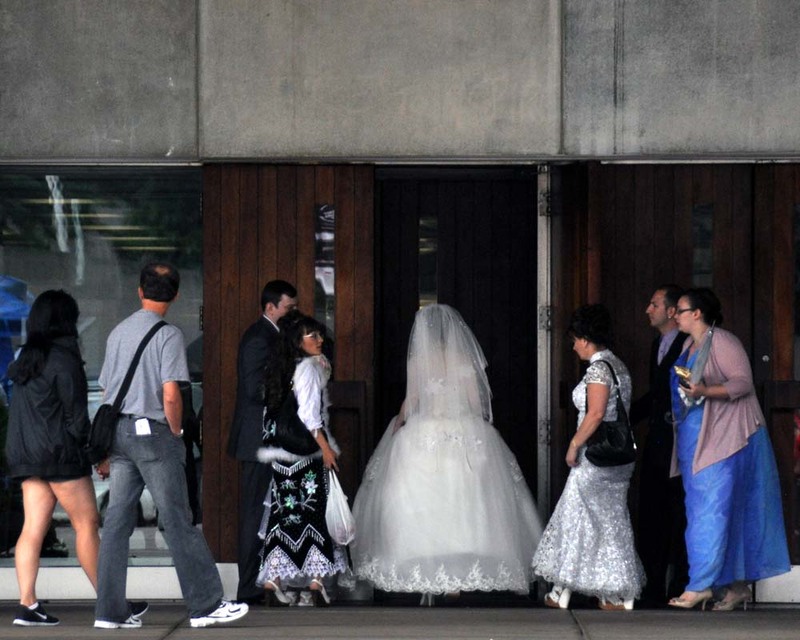 Many people get married at City Hall and take pictures in Nathan Phillips Square. 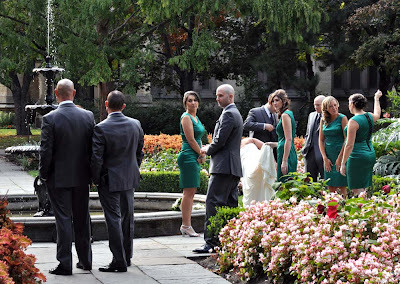 I have seen wedding parties at the foot of Yonge Street, at the pedestrian scramble intersection of Yonge-Dundas and a frightening zombie wedding in Trinity Bellwoods Park. 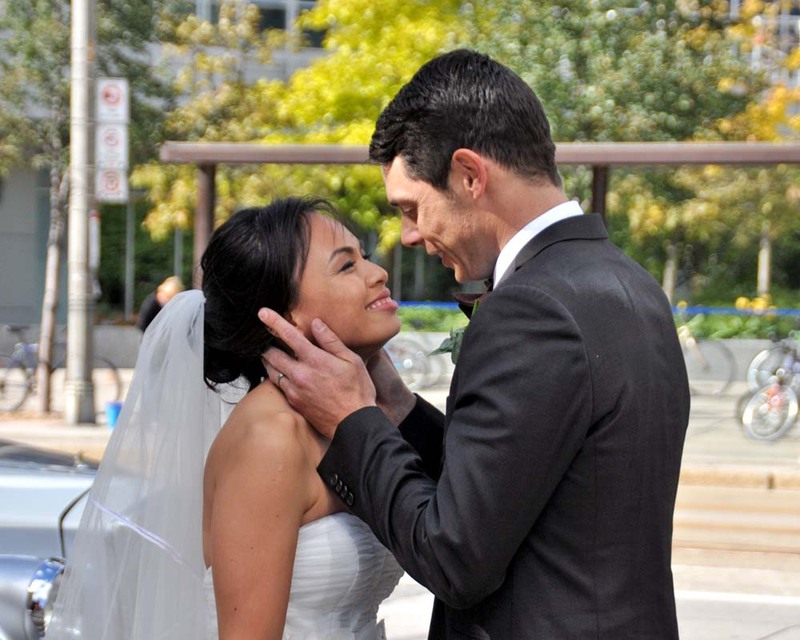 See more love after the jump. 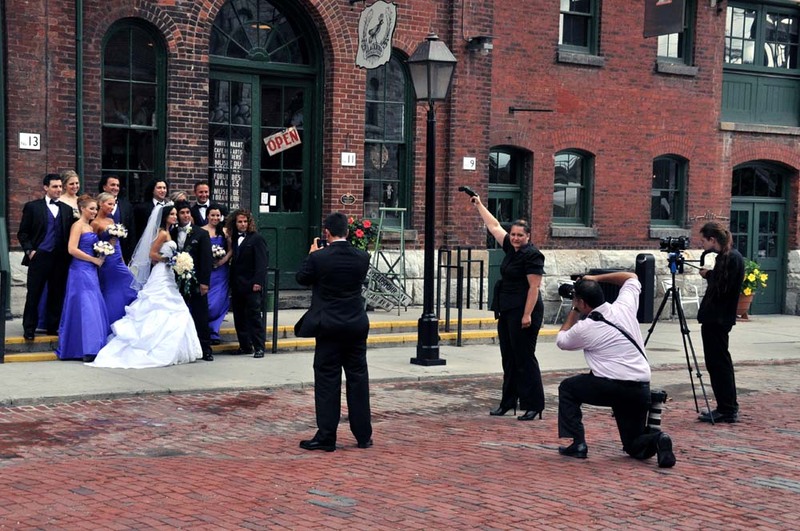 To make sure you capture all the excitement don't forget engagement, wedding ceremony and boudoir photos.